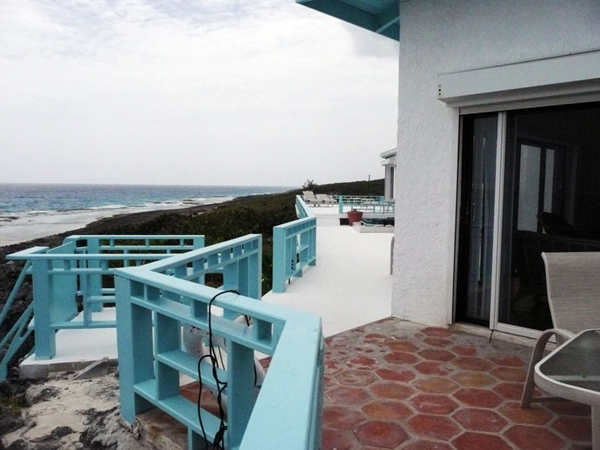 Ocean Cliff House is a beautiful 3 bedroom beach house in the Stella Maris resort area on Long Island Bahamas. Majestically perched on the cliffs overlooking the Atlantic where a private white sandy beach and tide pools create a breathtaking and relaxing atmosphere. 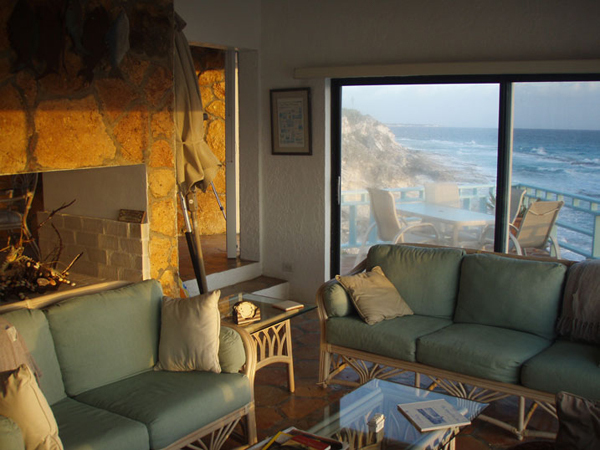 The Ocean Cliff House sleeps up to 8 guests, with a complete and lovely kitchen, outdoor gas grill and fully furnished bath allowing you to travel light to this destination. Located just minutes away from the Stella Maris Resort, you may enjoy the resort's offerings such as snorkeling and diving excursions, swimming pools, fitness center, restaurant, lounge, cave parties, rum punch parties and gift shop. Kitchen gas range, double oven, refrigerator/freezer, coffee maker, toaster, microwave, cooking utensils, cooking spices, dishwasher, blender, and gas grill (outside). Dining kitchen bar seats 4, dining area seats 6, outside patio table seats 6. Bedrooms Master Bedroom is adjacent to the main living area with a queen sized bed and private bath. 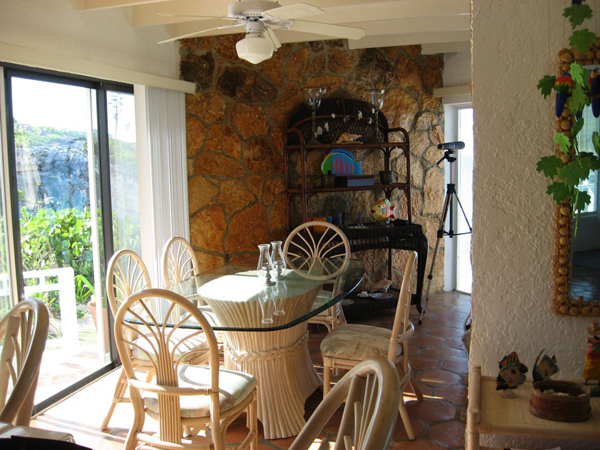 Sliding glass doors open onto the veranda with a full ocean view. 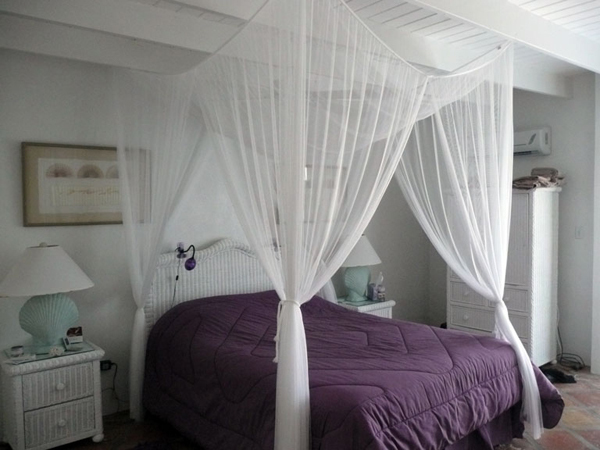 Second and third bedrooms have separate entrances for added privacy and share an adjoining bathroom. 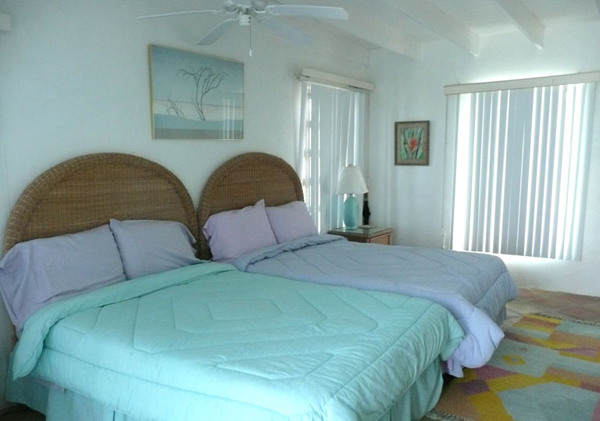 The second bedroom has a queen sized bed and the third bedroom has 2 double beds. All linens are provided. TVs with DVD/VHS players are provided in each room with movie selections. 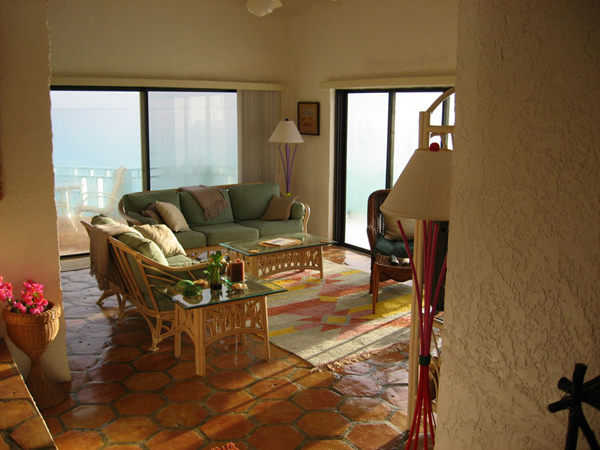 Each bedroom has a full ocean view, closets, dressers, alarm clocks, individual remote A/C control, and sliding glass doors opening to the veranda. 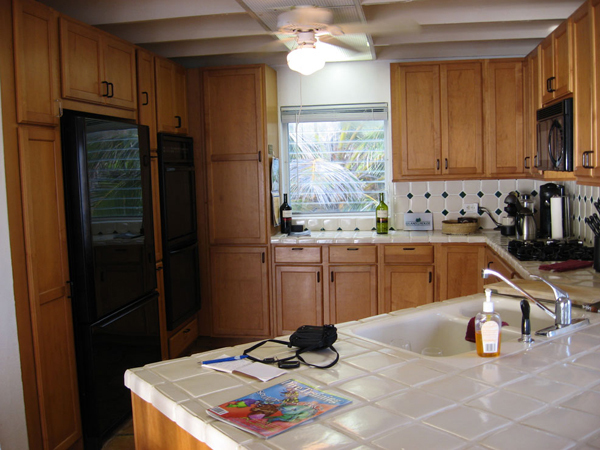 Bathrooms (2 1/2) 1/2 bath located in general living area, full master bath with tub, and third bathroom with tiled walk-in shower adjoining the second and third bedrooms. Bath and beach towels provided. Additionally, an outdoor shower is available for rinsing off from the beach. General living space The Ocean Cliff House has a large general living space with sunken living room surrounded by sliding glass doors and a beautiful panoramic view of the ocean. Included is a TV with DVD/VHS and movie collection, books, games, sofa and loveseat. Outside The Ocean Cliff House is beautifully landscaped with palms, tropical roses and hibiscus. It has its own private beach and access, a wonderful oceanside deck with outside shower, patio furniture, gas grill and clothesline. Large tidal pools with coral and colorful fish adjacent to the beach are perfect for snorkeling when the surf is calm. Please note that the beach varies seasonally- at times during the year there may be too much surf to safely swim from shore. However, there are always calm beaches within a short 10-15 minute drive from the house. 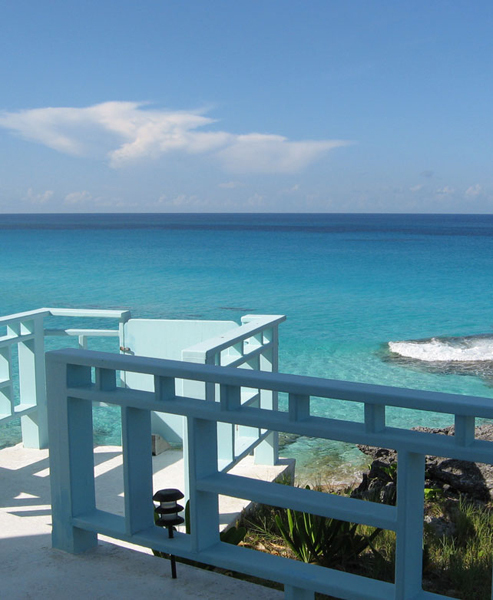 Long Island and the Stella Maris Resort is a wonderfully informal yet stunning atmosphere. Casual attire best suits this area. Water shoes are recommended for water activities such as swimming and snorkeling. 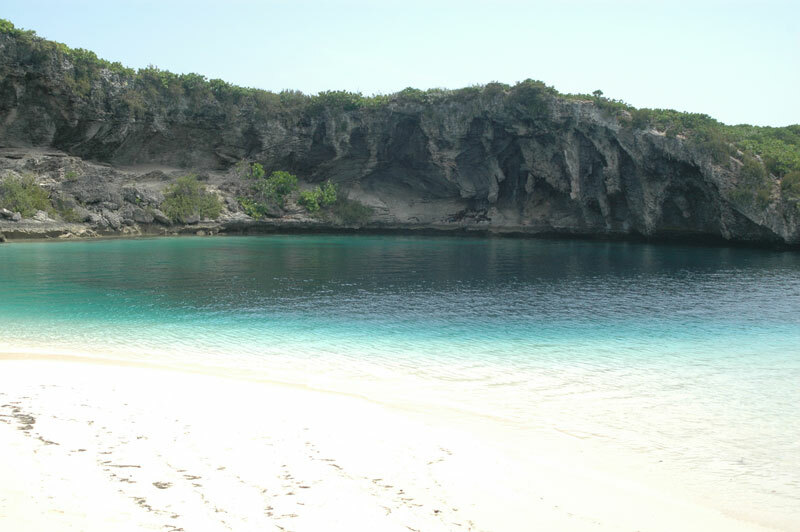 It is recommended to bring your own snorkeling gear, although you may rent equipment at the nearby marina. Don't forget your waterproof sunscreen. It has been our experience that if you have specific food and drink needs you may want to bring them with you as this is a small island and the grocery stores have limited selections. Several major airlines provide service to Nassau including Bahamas Air, Delta, US Airways, American Airlines, Gulfstream, Continental, Jet Blue and Air Canada. Air service is also available to and from Stella Maris through Fort Lauderdale and Miami. 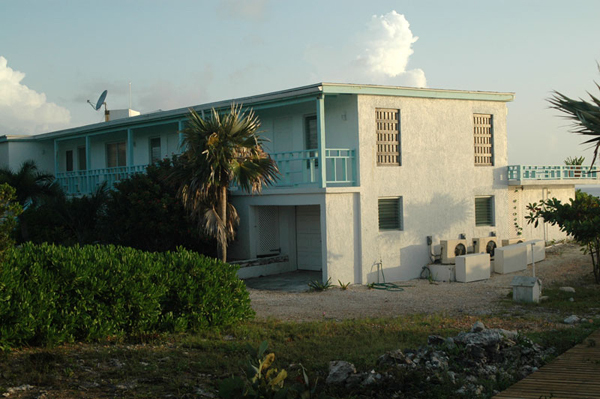 Air Service to the Stella Maris airport may be arranged through Pineapple Air, Bahamas Air, and through Stella Maris Resort. You may wish to consult your travel agent regarding your travel plans. A rental car will be necessary for your stay. This may be arranged through a local rental company. The rental car will be waiting at the airport upon your arrival. 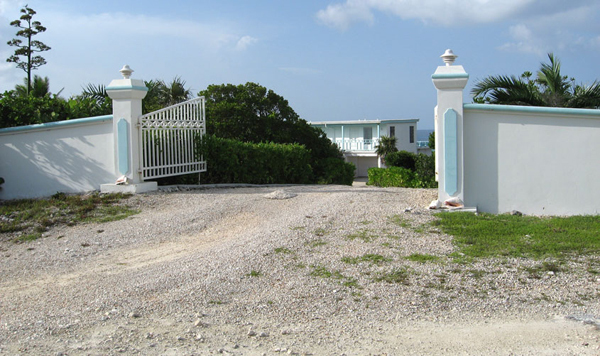 We will provide detailed directions to the house, resort, grocery store, gas station and local beaches. 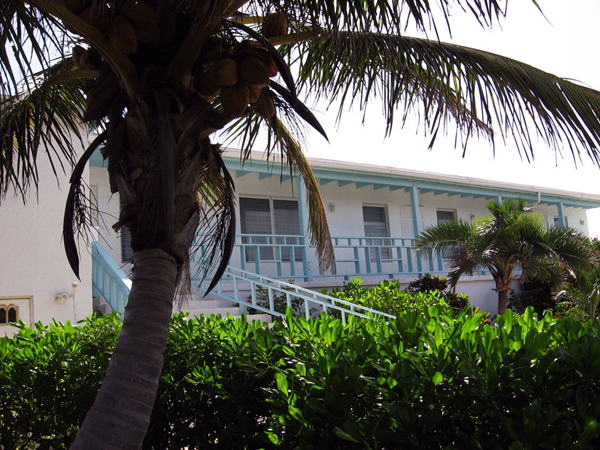 Stella Maris Resort: The resort has an excellent restaurant serving both local Bahamian and German dishes. Breakfast, Lunch and Dinner are served in the dining room. You may pay for meals individually (we recommend that you purchase at least your first dinner and breakfast through the resort), or a full meal plan if you would like a completely relaxed vacation. There is a gift shop, bar/lounge with weekly rum punch party including live music and conch fritters, several swimming pools, pool bar/restaurant, beach, bike rentals and many other amenities. 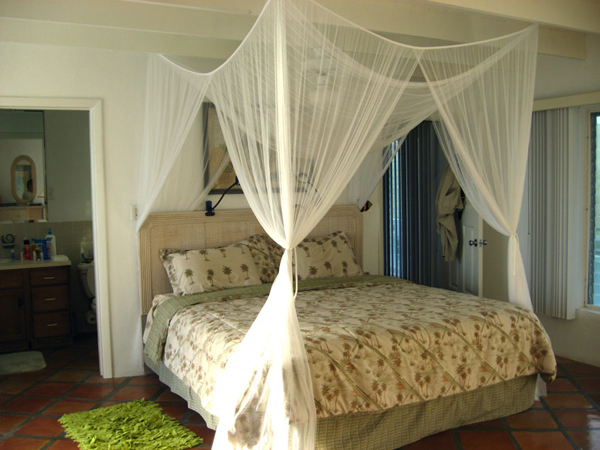 See their website for further details: www.stellamarisresort.com. Diving and Snorkeling: Diving and snorkeling excursions are available through the Stella Maris resort. 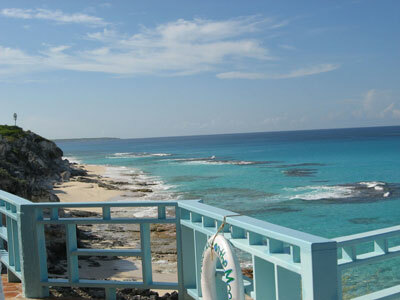 The resort offers diving at Shark Reef, Conception Wall, wreck diving, and many other sites. There are many great snorkeling spots just off shore that you can explore on your own as well, such as Columbus Point, and in the tide pools in front of the house. Don't miss Deans Blue Hole, the deepest blue hole in the world. The resort takes scuba trips there, you can drive to and snorkel there on your own, and there is a world-class free-diving school that offers courses at the blue hole. Bonefishing: Several guides and tours are available through the resort and other private guides. See Bonafide Bonefishing and Eagle Eyes Bonefishing Guides. Beaches: In addition to your own beach in front of the house, Long Island has many varied and lovely beaches for you to explore. All the beaches on the island are for the most part deserted. It is very unusual to find more than one other couple or family on any beach (if that!). 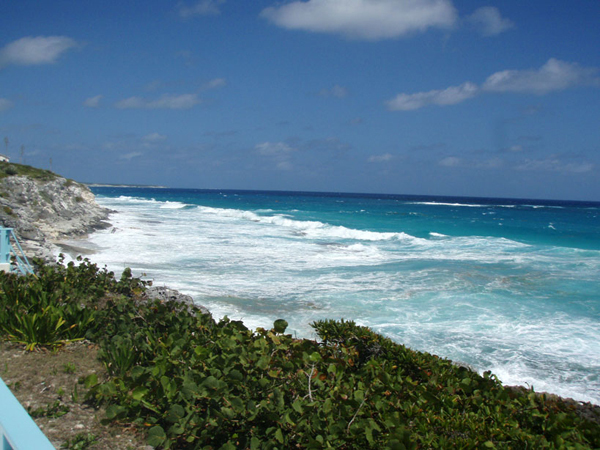 The Love Beaches are secluded beaches within walking distance from the house. Very private and usually deserted (bathing suits optional). Stella Maris Beach (5 minute drive) has cabana huts, hammocks, a swimming pool and lounge/restaurant for tropical drinks and light meals. Cape Santa Maria (about a 20 minute drive) is one of the most beautiful white sand beaches you will ever see. Reefs offshore make it a great snorkeling spot. Deal's Beach (10 minute drive) is perfect for families. Very shallow and protected even in the windiest conditions. 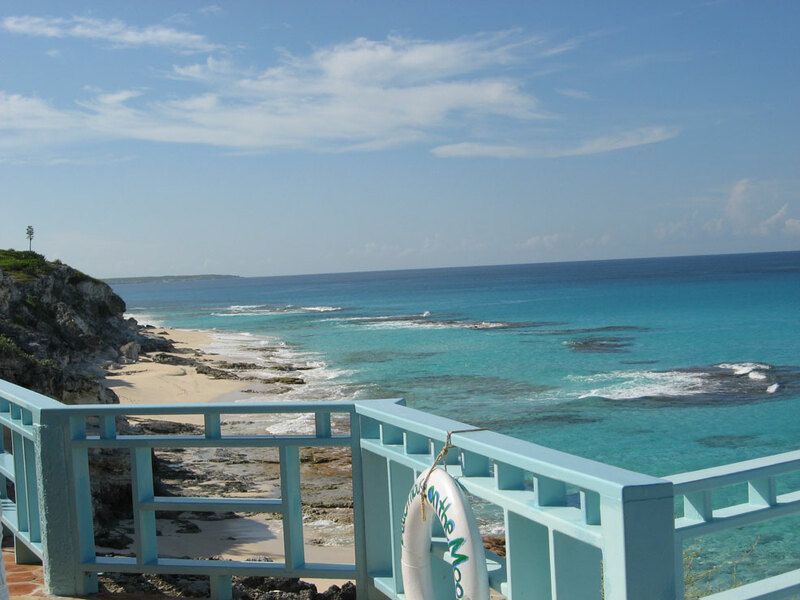 Columbus Point (20 minute drive) is a beautiful spot, offering breath taking views from the monument, and is one of the best snorkeling spots on the island when then winds are calm. Shipwreck: located minutes away from Ocean Cliff House. There are many wrecks off the coast for diving as well. Caves: There are several cave formations on the island. Some may be explored on your own. Others offer guided tours. Local artisans: Local craftspeople offer weaving- hats, bags, placemats- wood carving and shell creations. Island history: Visit Her Majesty's Prison, beautiful churches, old plantations, the Long Island Museum, and other unique sites on the island. Dining: In addition to the Stella Maris Resort dining room, there are some great restaurants around the island that are within easy driving distance. We recommend especially Chez Pierre and Max's Conch Shack! Download our rental agreement [pdf] for details.